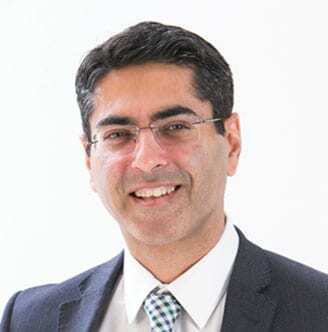 Dr Vishal Kapoor is a general paediatrician with over 18 years of paediatrics experience, with extensive clinical experience in a range of general paediatric conditions, behavioural-developmental paediatrics and neonatology. He is also employed as senior medical officer at Lady Cilento Children’s Hospital. He is active in teaching and academics and is a senior lecturer with the University of Queensland. He is actively involved in research and projects including ADHD care delivery project in Queensland. He holds a Bachelor of Medicine, Bachelor of Surgery (MBBS), Doctor of Medicine in paediatrics (MD), Master of Clinical Epidemiology (M. Clin Epid) from University of Newcastle and is a Fellow of the Royal Australasian College of Physicians (FRACP). Dr Kapoor has done neonatal fellowship for two years. If your newborn is premature or sick, Dr Kapoor can assist at the time of delivery and provide subsequent ongoing care. If any problem is identified before your baby is born, Dr Kapoor can also assist with your baby’s care during pregnancy in a team approach with the obstetricians. Dr Kapoor has also served as the Director of Paediatrics at Redland Hospital for five years and was previously the Clinical Sub-Stream Lead for paediatrics in the Women’s and Children’s Stream in Metro-South Health. He has also served as a member of the Queensland State wide Maternity and Neonatal Network Steering Committee. Dr Kapoor strives to provide holistic care to his patients and their families and can handle the most complex and high-risk situations in paediatrics.